Once again, on the night that Ireland’s finest footballers and hurlers descended on the Convention Centre for the annual All – Star Awards, the word ‘Cluxton’ was trending on Twitter in the capital for all the wrong reasons. As has been customary every year since the Dublin net – minder’s last All-star since 2013, the blue brigade have shown outrage at the decision not to award the Parnells clubman with the award. However, if you were to take a step back and engage with the selection of Monaghan keeper Rory Beggan, it is clear how he was the man on stage collecting the award on Friday evening. First of all, it must be stressed that Cluxton will go down in history as the best keeper of the modern era and perhaps of all time. The man changed and shaped the intrinsic nature of the game, and the fact that he hasn’t been named in the best XV of the year since 2013 is atrocious. He has captained the best side in the history of football to lift Sam four times in a row and has proven exceptional for Jim Gavin’s charges. Such has Cluxton’s influence on the game been in the last decade, any keeper who comes through the ranks from Malin to Mizen will doubtless be compared to the Blues’ skipper for years to come. However, to suggest that this is reason for him to win an All-Star for one season doesn’t sit. While Cluxton has been typically great in his performances in between the sticks, Beggan has elevated the role of the goalkeeper to another level during his time with the Farney Army, and indeed with his club Scotstown, where many clips are available of him insanely scoring from open play. 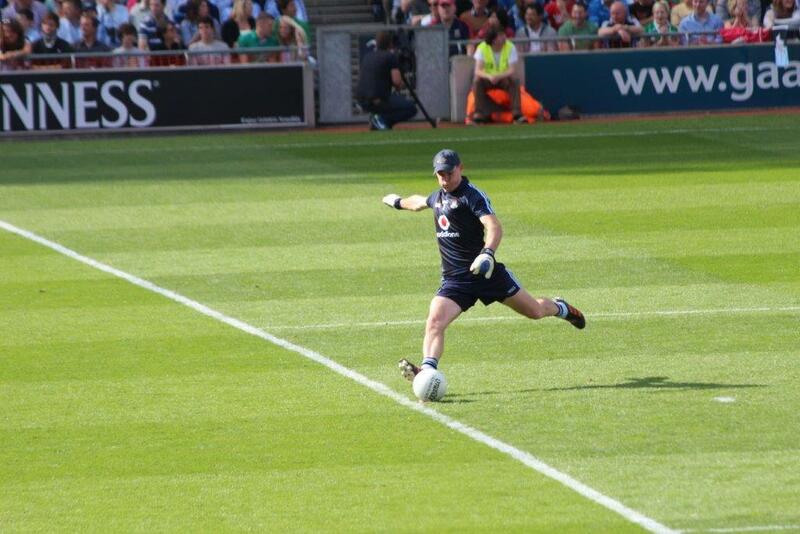 Ten, fifteen years ago, when you looked at Stephen Cluxton, you saw the future of goalkeeping in the sport. Now in 2018, the same philosophy applies to Rory Beggan. His kick – outs have been great, albeit not spectacular, but his point – taking and his role as a ‘sweeper-keeper’ have been unheard of. His driving force coming out from the back has been a platform on which the 2015 Ulster kingpins have built their attacks this season. The Scotstown shot – stopper scored 0 – 18 points for his county and features highly on the top scorers list for this year’s Football All-Stars. For a keeper, his lethal free – kick accuracy is second to none, and some would even go as far to argue that he is the best free kick taker off the ground in the country at present. Many have attempted to point to the kick – outs of Clucko as a basis for him being awarded over the 26 – year – old Beggan. However, when one takes a look at the kick – out stats provided by journalist Cahair O’Kane in the Irish News, Beggan yet again edges the keeper of the Leinster Champions. Both have taken a near identical number of kickouts (Beggan’s 158 vs Cluxton’s 159). Beggan has found his man 138 times (87.3% conversion rate), while Cluxton’s restarts were successful 85.5% of the time (136). For contested kick – outs, Beggan found the right man 3 times out of 4 (75.6%). 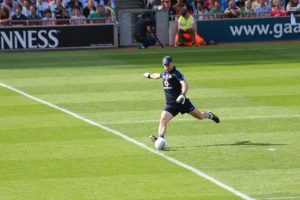 Cluxton’s accuracy was surprisingly less than his contender for the accolade, with 52.3% of the Dub’s contested kick – outs finding their man. Ultimately, the point is clear. Cluxton has been the best and most consistent keeper of the past decade, and if the All – Stars were selected by the committee on the basis of the past 10 years then, by all means, give the man the award. However, 2018 was the year of Beggan between the posts and, in my opinion, his All – Star is proof of that, despite the opinion of the naysayers.